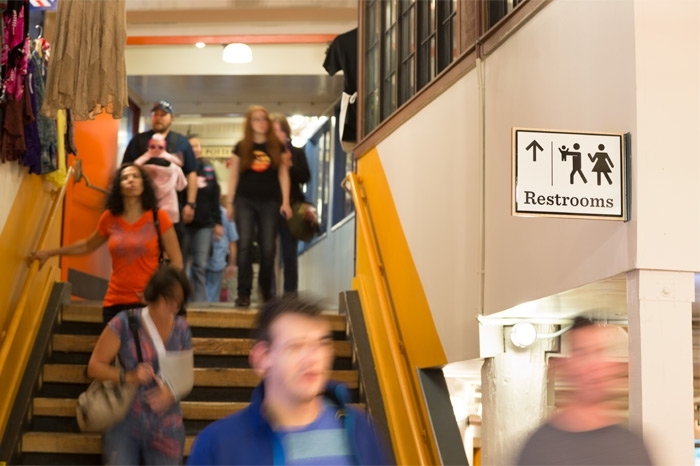 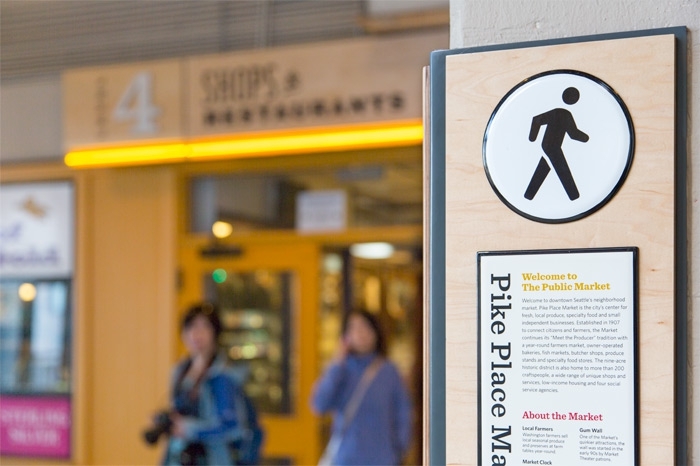 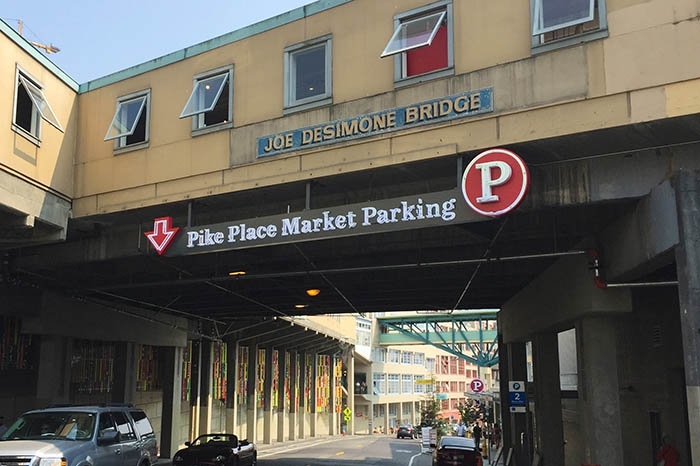 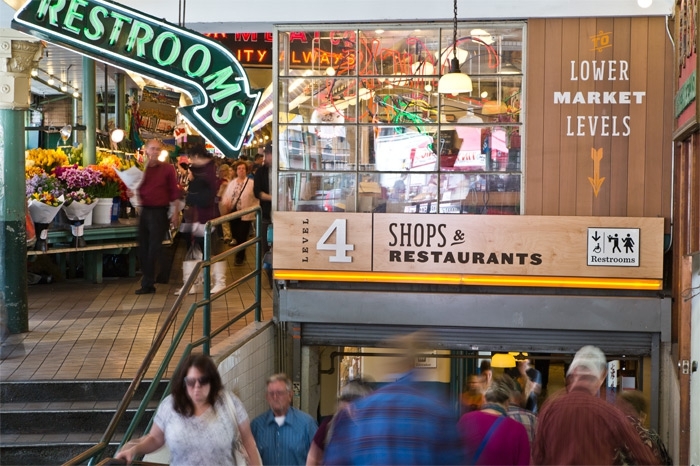 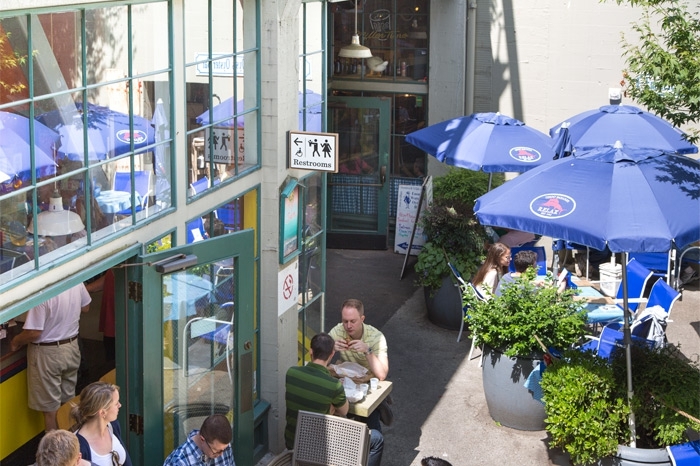 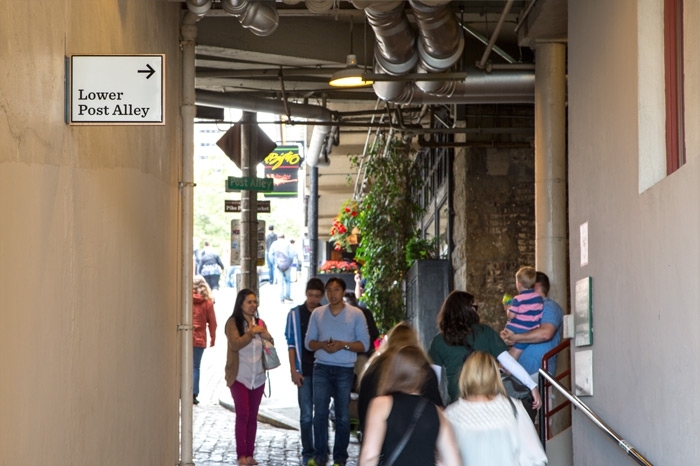 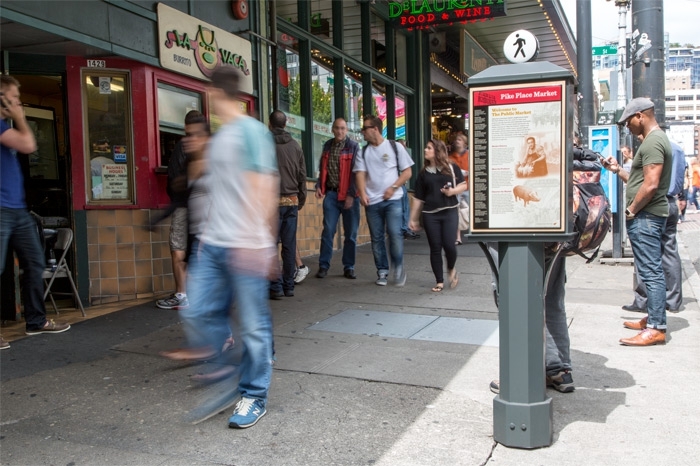 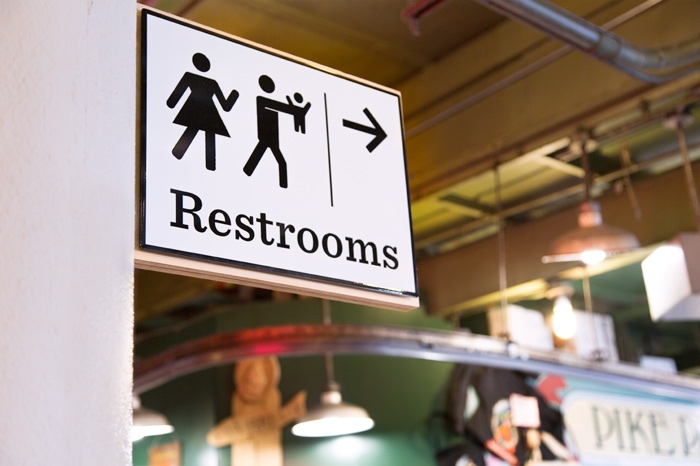 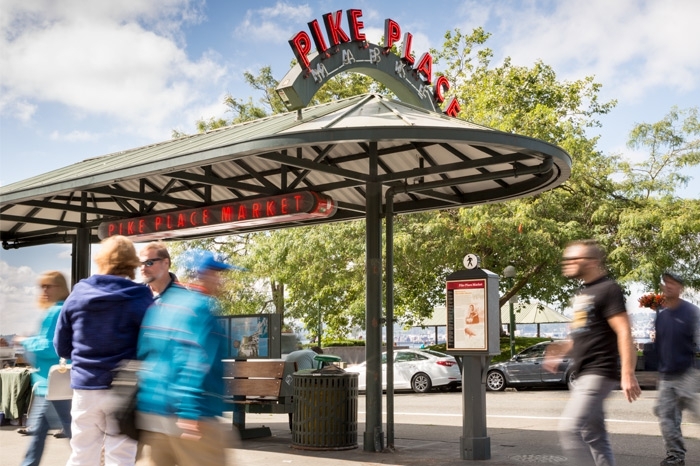 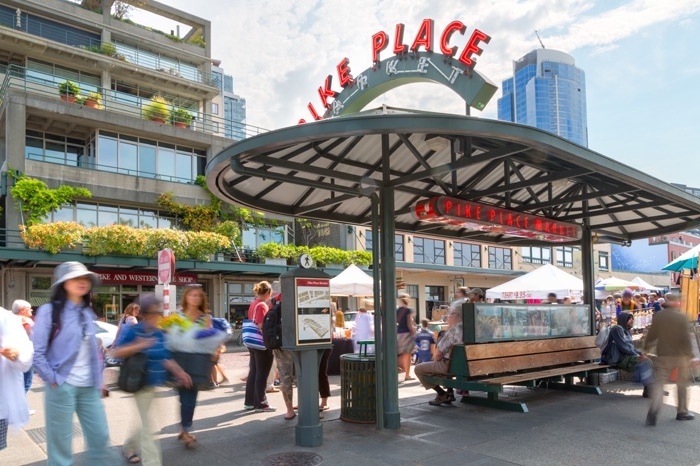 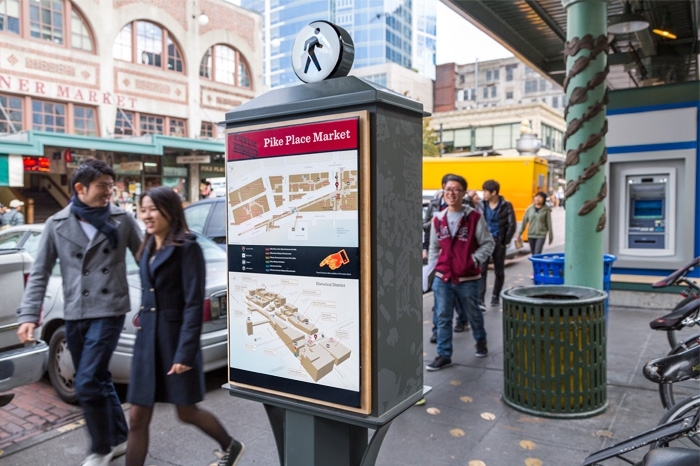 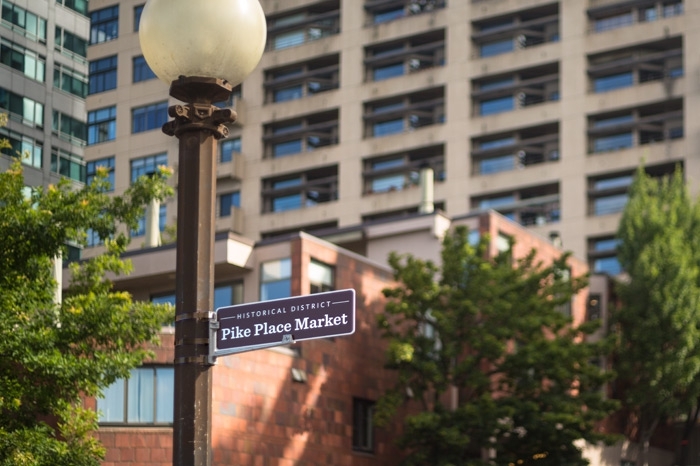 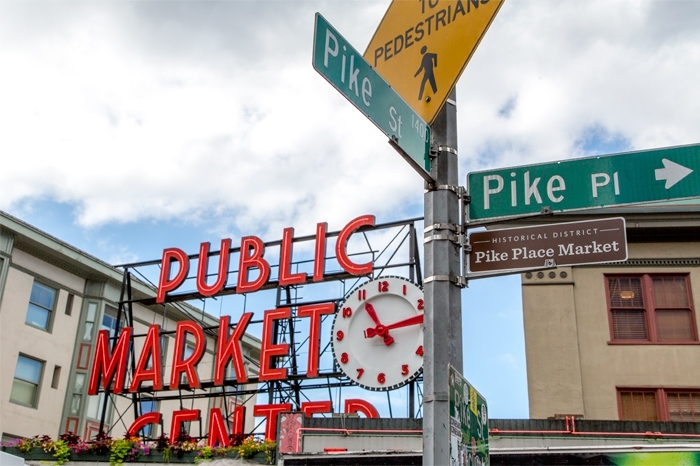 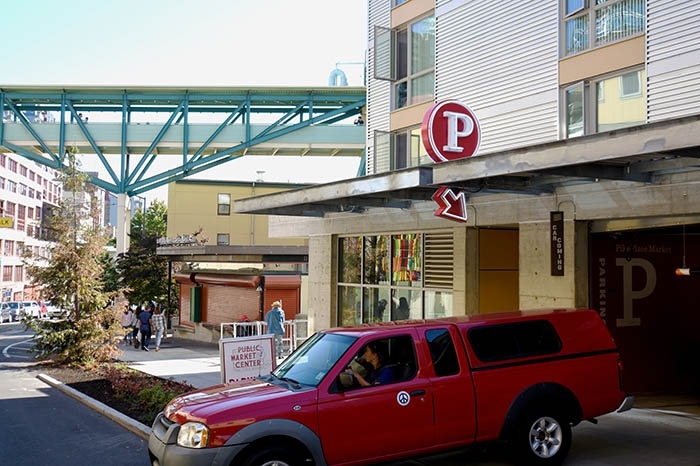 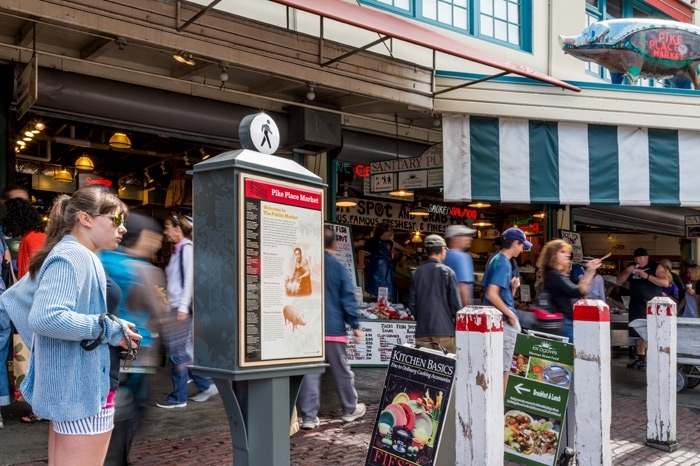 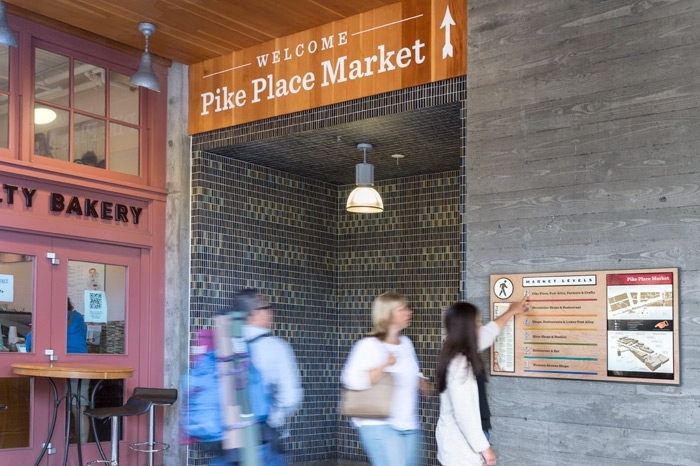 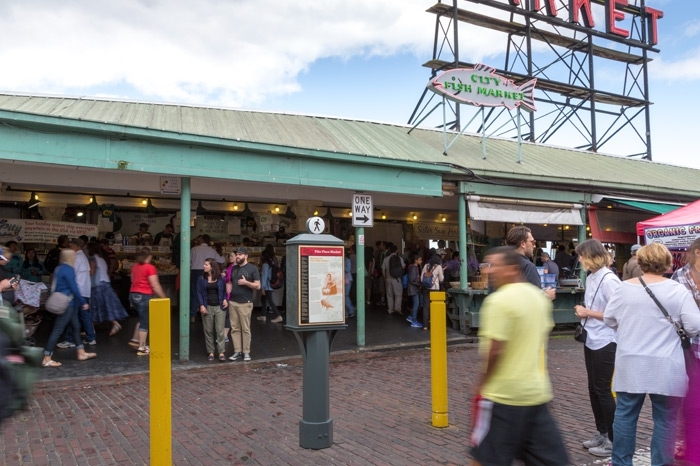 Upon completion of a three-year renovation to replace aging infrastructure and rebuild the Pike St. Hillclimb, RMB Vivid was hired to design a wayfinding program to highlight renovated areas and draw attention to new restrooms and elevators. 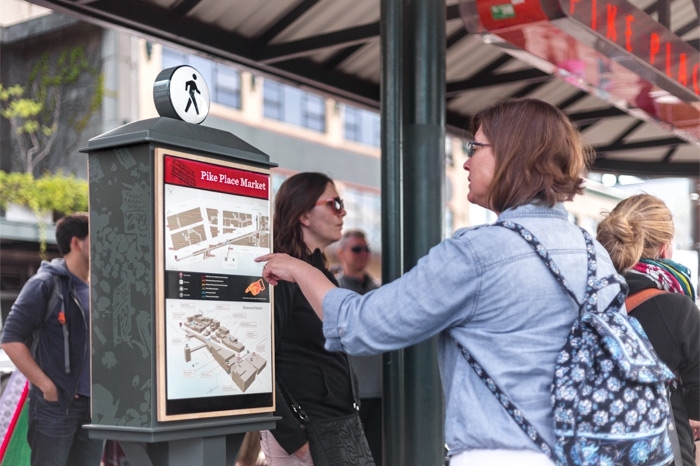 The wayfinding included the design of map pedestals to communicate the breadth and story of the historical district with carefully sited orientation maps at specific locations. 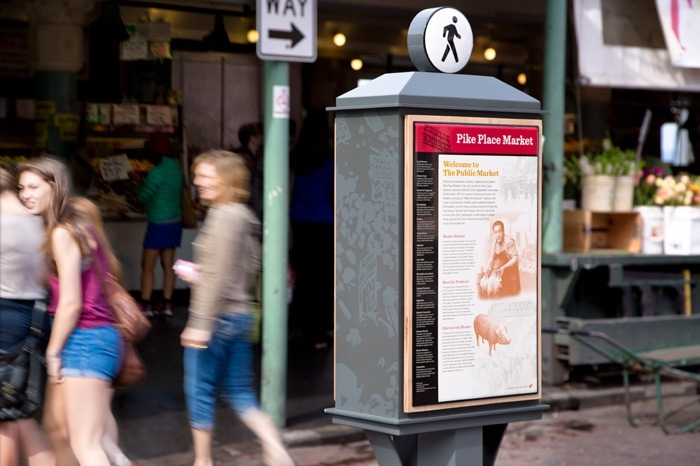 In addition to orientation, these free-standing pedestals provide important facts and history about the Market while the design of the pedestals evoke characteristics of the historic buildings. 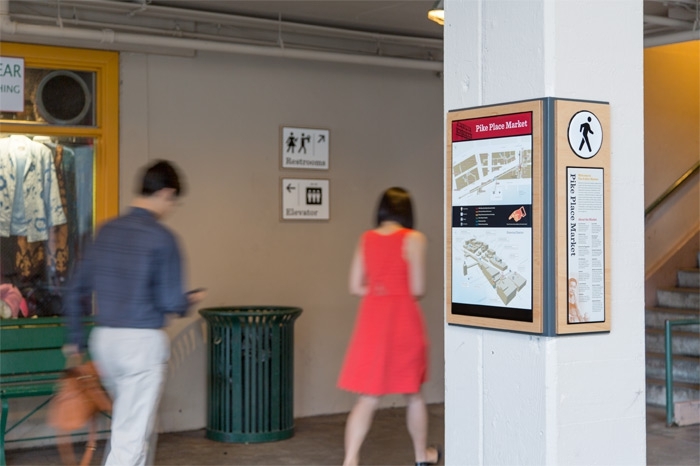 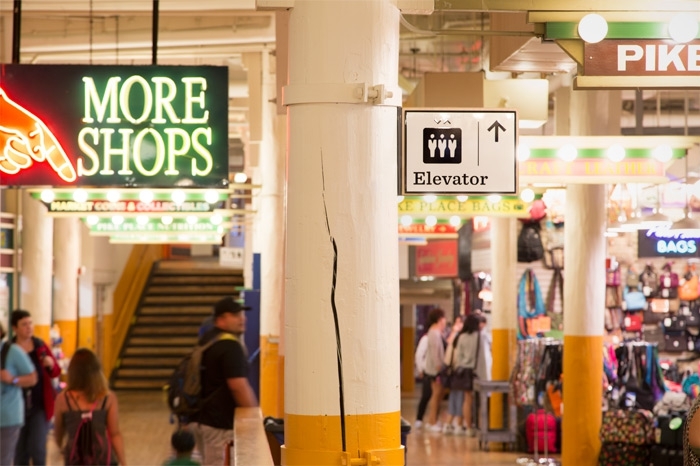 New directional signs for the restrooms and elevators provide clear wayfinding to these basic Market amenities. 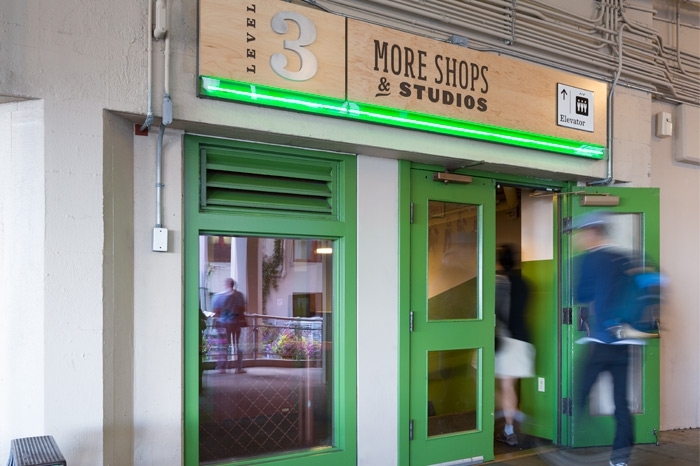 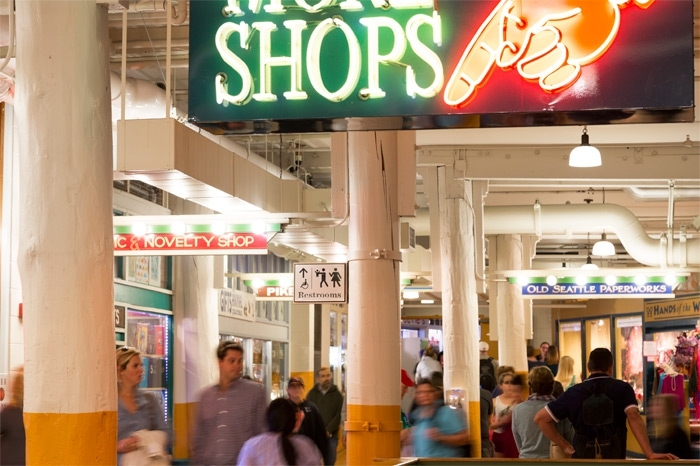 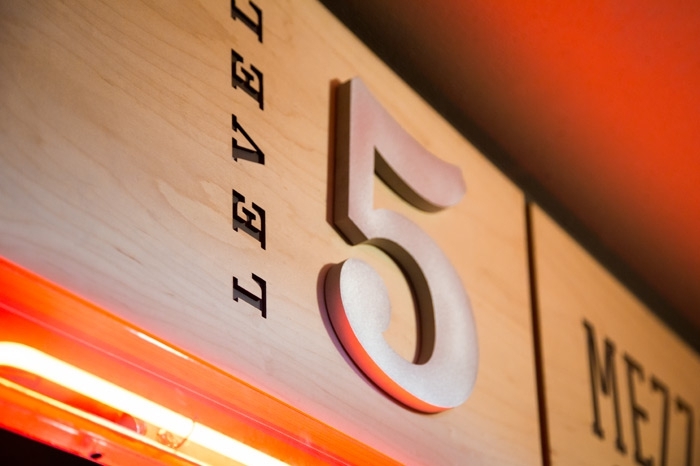 Each sign is made of classic high-contrast enamel to stand out in the bustling environment. 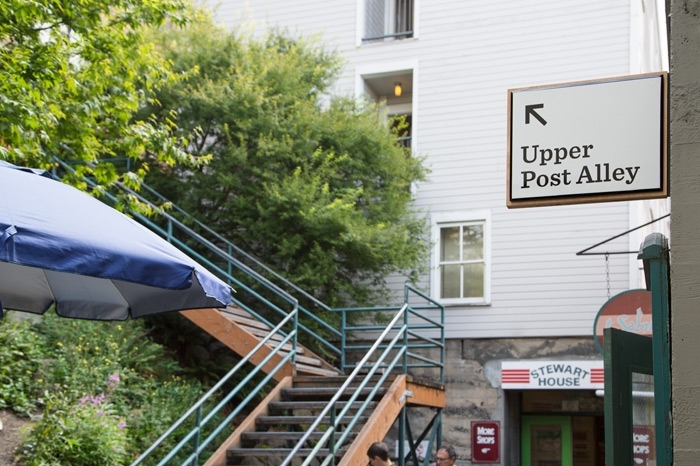 Use of whimsical graphics retain a playful character and sense of fun. 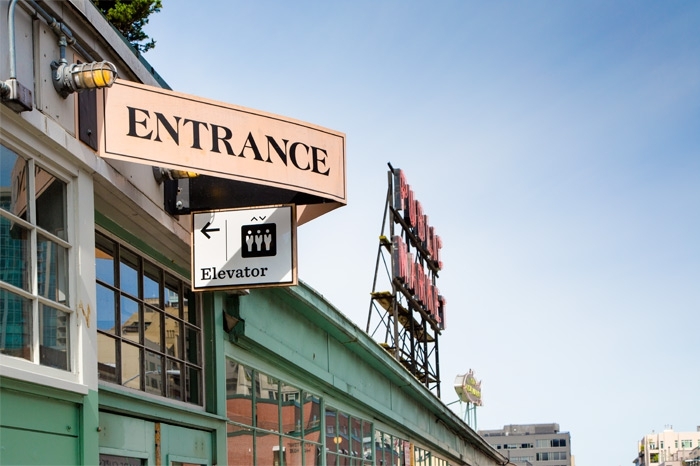 The approach from the Waterfront at the base of the Hillclimb was greatly improved in the renovation. 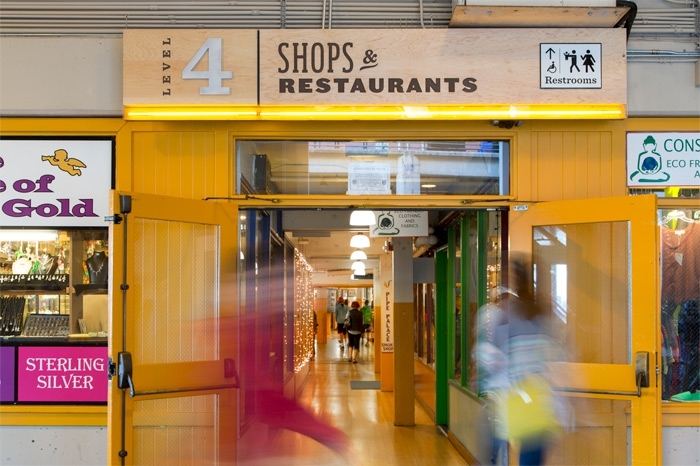 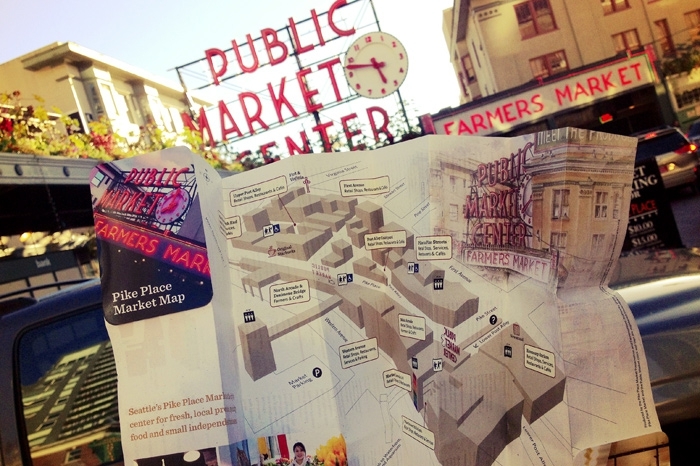 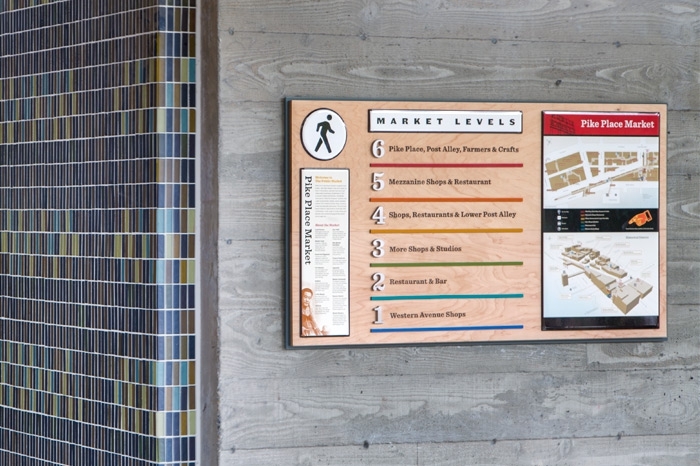 The placement of the new wayfinding graphics at this location welcomes and orients visitors as they enter the Market. 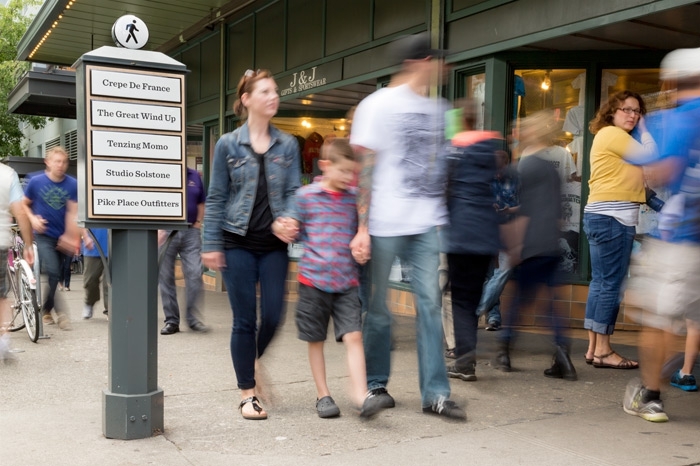 To emphasize the importance of the historical district, new signs were coupled with street signs to communicate the threshold and arrival at the district.